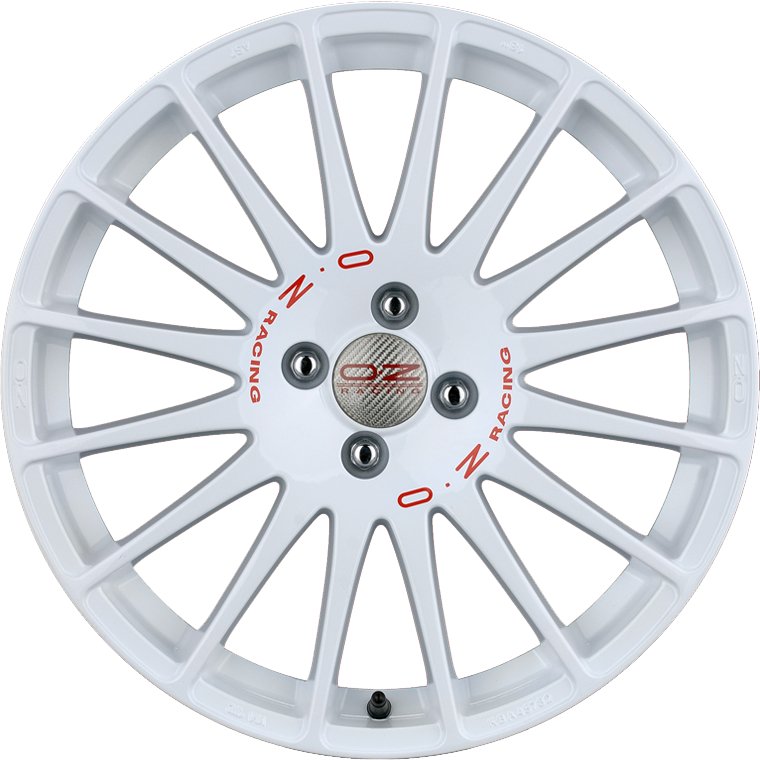 OZ Racing Superturismo WRC is the iconic wheel of the racing world. OZ Racing Superturismo WRC is the iconic wheel of the racing world. The Race White version can be found on 90% of the World Rally Championship competition vehicles. The printed ‘OZ Racing’ logo, characteristic multi-spoke design and carbon fiber hubcap all add distinctive features to this very famous wheel. The Superturismo WRC is available from 14” up to 19” diameters and grigio corsa finish with black lettering, matt black with red lettering or race white with red lettering finishes. Like all the OZ wheels, it is TÜV certified.